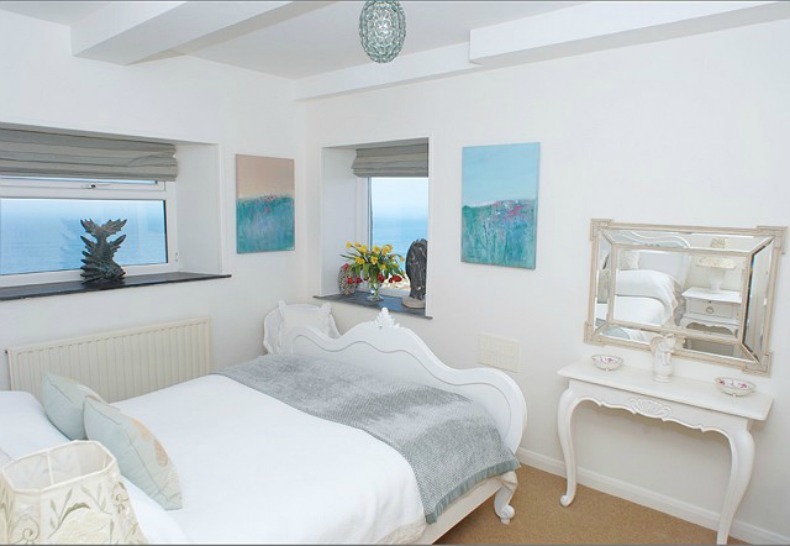 Bright white coastal cottage style bed with pale blue blanket and matching pale ocean blue color peeping in through the windows. 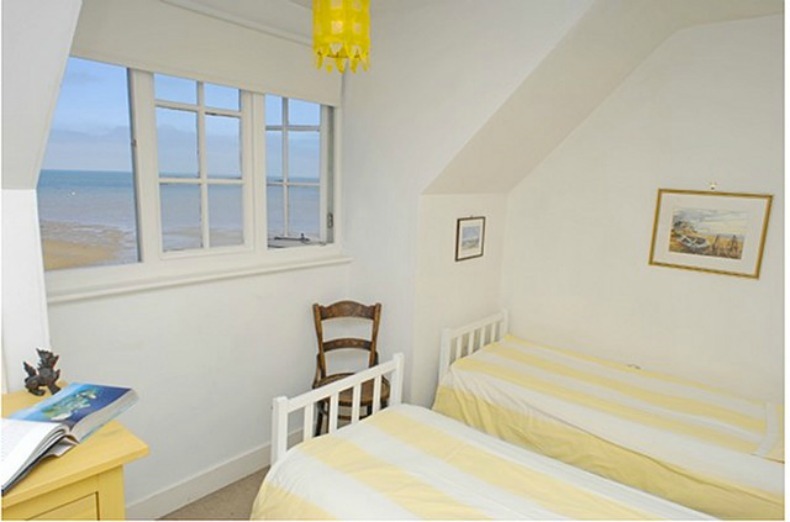 Rooms with serenity and ocean views to usher in the new year. 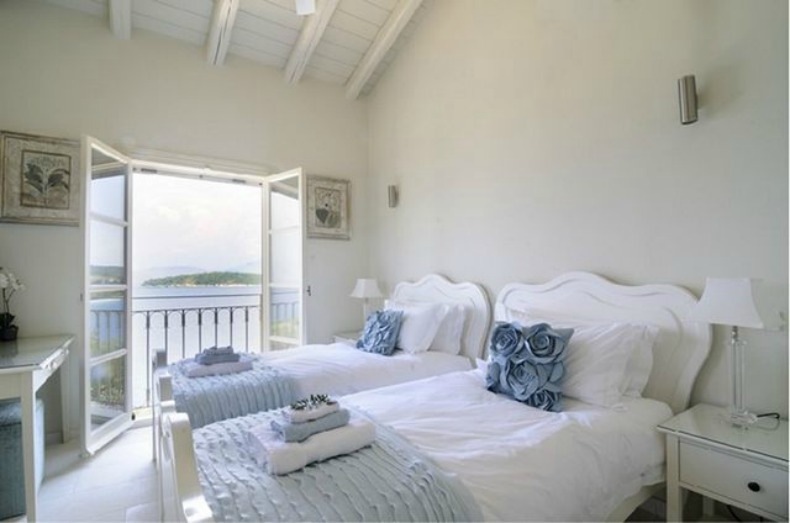 White coastal beds with pale blue accents look out to the beautiful blue waters. 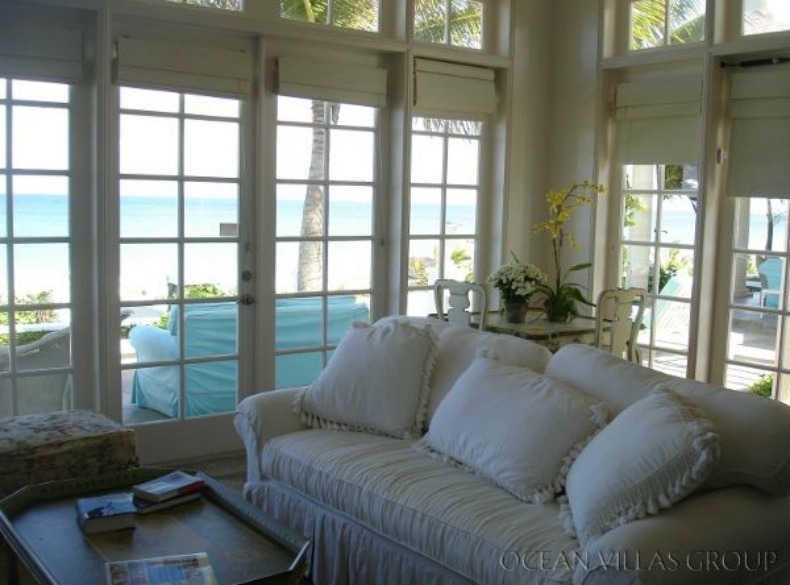 This open Living Room with white slipcover sofa and coastal accent furniture is sure to be the favorite spot to sit and enjoy the coastal views.